Hi, my darlings!! Happy Valentine's Day!! I'm going on break starting tomorrow and a girlfriend is coming to visit me so I'm really, REALLY happy! AND I also have a new review of a brand-new-to me indie maker--Polish Addict Nail Color! Now, I don't know Laura of Polish Addict personally (YET!) but we are friends on Facebook, so from what I gather, she seems like a really sweet person! She is also VERY active in a Facebook group devoted to fan of her brand and she never fails to have a kind word or a smile for all the members! When she sent out a call for bloggers, I knew I had to apply! Laura sent me 5 pretty polishes to review and I've split them into 2 separate posts--this post will deal with holographic polishes and the next post will cover two holo thermals! On to swatches, we go! Next, I have for Pink Sugar--this limited edition polish is a lovely medium pink creme with a hint of holographic sparkle. Again, no issues to report with the formula or application and the swatches below show 3 coats with 1 thin coat of G&G's HK Girl for added shine. So pretty! Last but definitely not the least, I have for you Unicorn 2.2--a lavender-leaning linear holographic topcoat with added lavender flakies and small and medium iridescent glitters. Great formula and application--the swatches below show 2 thin coats over 2 coats of Orly Cashmere Cardigan. I absolutely adore how this look turned out--so gorgeous!! So there you have it, my darlings!! If you need to add any of these beauties to your stash, you can find them HERE for the price of $12.00 for a full-size, 15 mL (0.5 oz) bottle. 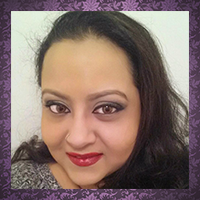 Be sure to follow Polish Addict's FACEBOOK PAGE and INSTAGRAM for all the latest news and updates! 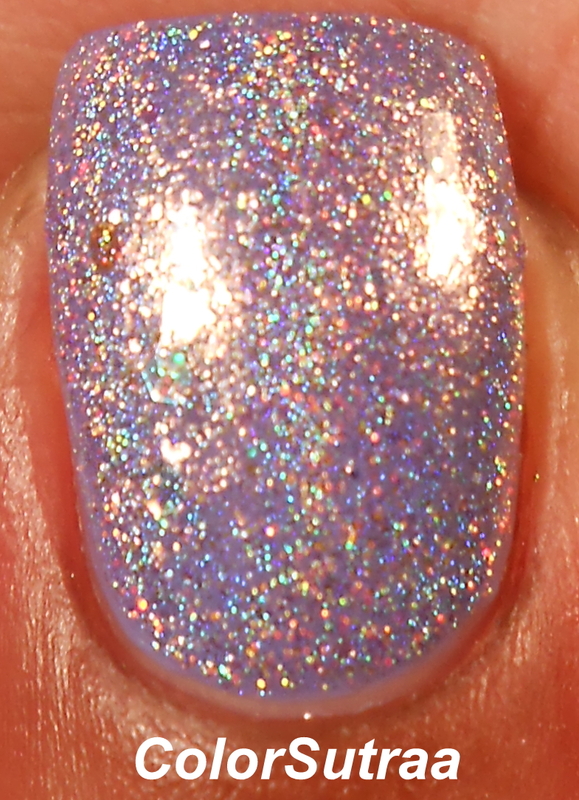 Stay tuned for the second part of my review showcasing two holo thermals from Polish Addict!